DVD drives and discs still exist and they are not yet completely extinct. DVD discs were popular some 15-20 years ago, but now they can be hardly seen. Going back in the time will let us know that the DVD discs were the high definition standard of movies some 15 years ago. Because of their large storage size and superior picture quality DVDs replaced the CDs that have only 700MB of space. Sometime later DVDs were slowly replaced by Blu-Rays. But introducing Blu-Rays into the market never meant to replace DVDs. Blu-Ray discs provide ultra high definition media entertainment while DVDs can only provide standard definition media entertainment. DVDs are still good in 2018 because they are cheap and affordable and you can still find new movies on these discs. Most of all you can get up to 720p resolution with many digitally encoded digital versatile discs. Playing DVD movies on Microsoft Windows has always been in talks. Because Microsoft didn't have support for .vob files. We used CyberLink PowerDVD some 12 years ago which is a DVD playback software that often came bundled with a new Desktop computer. But CyberLink software isn't free. Microsoft has its own Windows DVD Player app. But it costs $14.99 dollars. 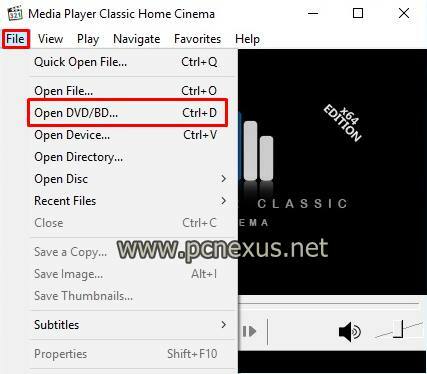 So, if you want to play those old DVD movies on your Windows 10 PC then check for this tutorial below. We are not talking about the Windows Media Player as it doesn't have necessary codecs for .vob media files and can't play it. 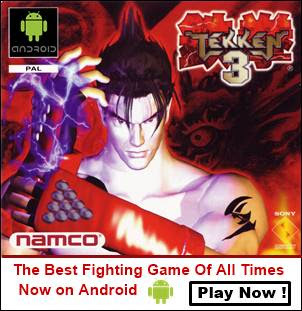 Make sure to download the right software package either 32-bit or 64-bit. If you are running 64-bit Windows 10 then download the 64-bit software package. To check your system type right click on 'My PC' and select 'Properties'. Here check whether your new Windows 10 is 32-bit or 64-bit. After installing the media player classics on to your PC open it. Insert the DVD movie disc in the optical drive. Let it load. Initially, Windows 10 won't play DVD but will ask you what to do with it. It will suggest you download a compatible player app from the Microsoft store. But just ignore it. In media player classics click 'File' and select 'Open DVD/BD' or press 'Ctrl+D'. Now a dialog box will open asking you to load the disc. Simply click the DVD drive icon on the left side and click 'Select Folder'. The main disc menu will open and you are ready to play. Now click 'View' and select 'Auto Fit (Larger Only)' submenu in the 'Zoom' menu. Hit 'Alt + Enter' to watch the movie in full screen. Media Player Classics is an open source media player which can play almost every media or video file. Another option is VLC player which is also free. But we would say media player classics is the best DVD player for Windows 10, which is free. It also plays Blu-Ray discs. So, let us know if you liked this tutorial. Do share and comment.